You have to buy soap, laundry detergent, toilet paper, first aid supplies, and cleaning gear anyway, so you might as well get them delivered to your doorstep while saving a bunch of money. 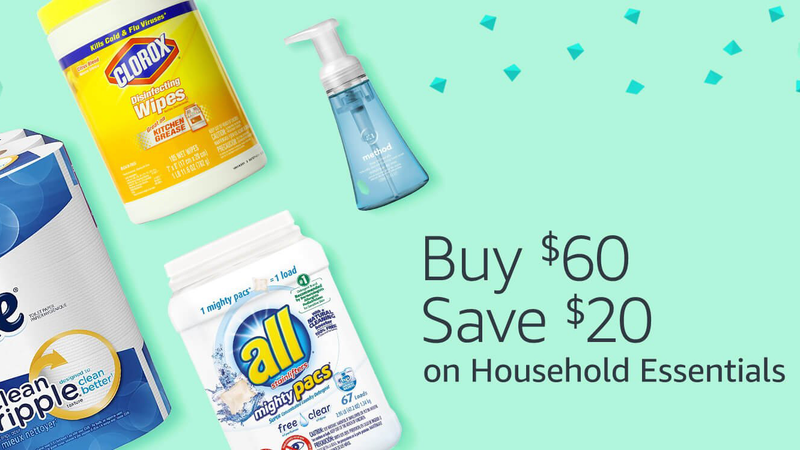 Today only, order $60 in select household essentials, and you’ll see a $20 discount at checkout automatically. Note: Don’t miss the tabs at the top of the page; the products are separated into three different categories, but you can mix and match them to meet the $60 threshold. Margaritas For All, or a Smoothie For One? Your Favorite Affordable Blender Is Cheaper Than Ever.